I've seen these posts on a few blogs, and find them way more interesting than the usual 5-or-so piece wishlist! I know I'm not the only one that finds numerous things online every day that I lust over, so I plan to do one of these every day throughout summer. This clutch is gorgeous! It reminds me so much of the Alexander Wang Rocco, or the ebay version of the bag everyone has. I've been wanting it for a while, but can't justify £30 on it quite just yet. Anyway, I saw this bag on moreemilk's latest video and immediately needed it. 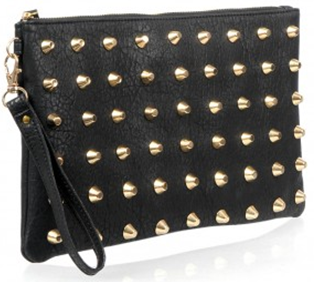 It's a great size, isn't too big yet still has the highly-coveted studding detail. The wristlet strap is convenient and looks great for holding the essentials - phone, keys, oyster card, tissues and lip balm. It comes at a bargain of £8 from Select, which unfortunately charges a ridiculous £4 for postage. Oh well, £12 is still a fab deal and I cannot wait to get my hands on this. Will be purchasing this later today! 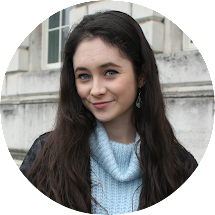 p.s - like the new blog design? I prefer it to my old one, definitely more grown up!